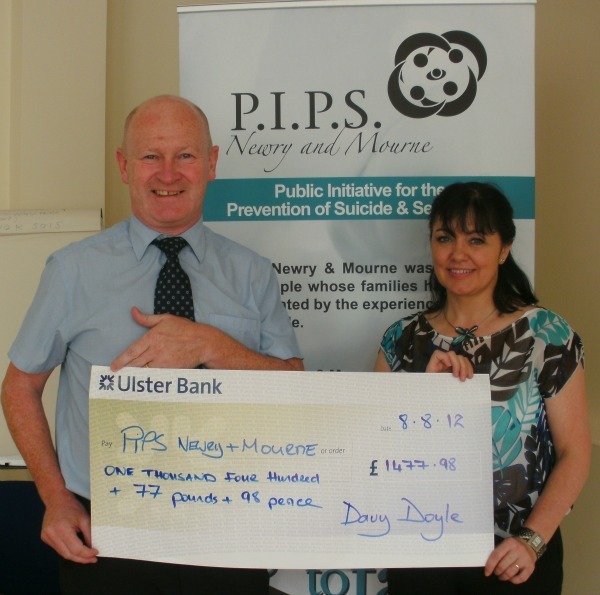 PIPS Newry & Mourne would like to thank Mr Davy Doyle for raising funds for our organisation through completion of Newry City Marathon. With the help and support of friends and family, Davy was able to not only complete the marathon but to raise the exceptional amount of £1,477.98 for our charity. Davy would like to thank all those who gave so generously and who supported him in his fundraising efforts throughout.